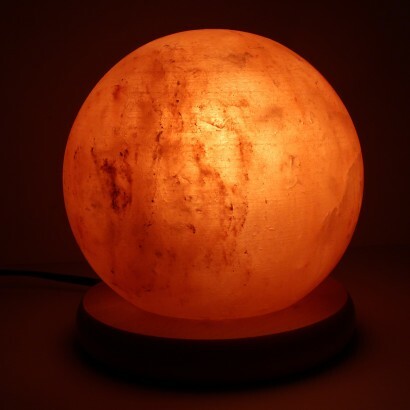 A more contemporary take on the Himalayan salt lamp, the salt has been shaped into a sphere for a super stylish look. 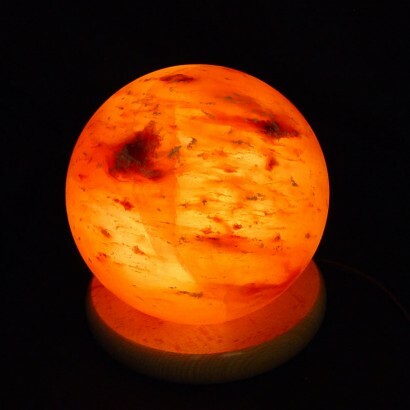 Sculpted from natural rock salt, each sphere lamp is unique with it's own shades of pink for individual design. 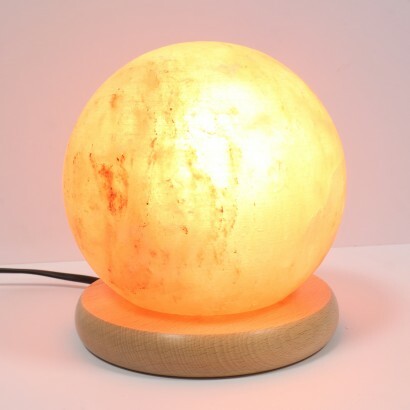 Lit by a 15W E14 pygmy bulb (included), this stunning sphere shines with a comforting warm white glow that not only looks incredible but makes you feel good too! 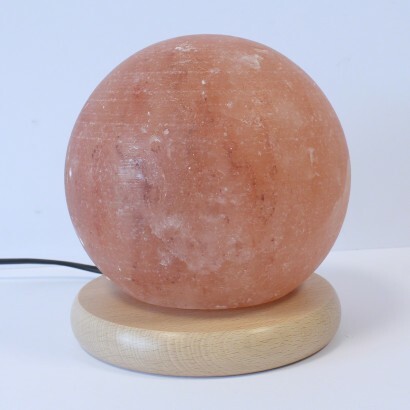 A natural ioniser, when the salt is gently warmed by the bulb it releases negative ions to cleanse the air in your home to give numerous health benefits including increased serotonin, stress relief, increased energy and more to help you to combat the stress of every day busy lives!